Once upon a time there was a man who strayed from his own country into the world known as the Land of Fools. He soon saw a number of people flying in terror from a field where they had been trying to reap wheat. "There is a monster in that field," they told him. He looked, and saw that the "monster" was merely a watermelon. He offered to kill the "monster" for them. 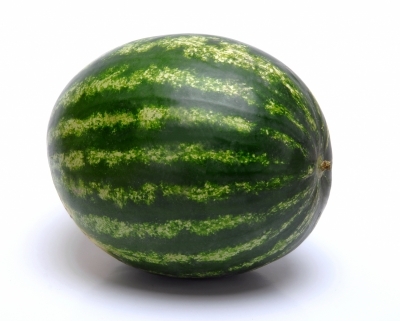 When he had cut the melon from its stalk, he took a slice and began to eat it. The people became even more terrified of him than they had been of the melon. They drove him away with pitchforks, crying, "He will kill us next, unless we get rid of him." It so happened that shortly afterward another man also strayed into the Land of Fools. But instead of offering to help the people with the "monster," he agreed with them that it must be dangerous, and by tiptoeing away from it with them he gained their confidence. He spent a long time with them in their homes until he could teach them, little by little, the basic facts which would enable them not only to lose their fear of melons, but eventually to cultivate melons themselves. From the story above we know that "the monster" was not the watermelon but in the people's mind. There was nothing evil in the watermelon. The watermelon was just fine just like any other watermelon. But the way the people of the Land of Fools think toward the watermelon is the problem. In their mind, watermelon was a scary monster and should be avoided. And they lived in fear because of the watermelon. The problem was in their mind. And so many times we have the same problem just like the people of The Land of Fools had. It is not in the things or the people we encounter with, but it is in our mind. Our mind interpret it in a negative way and we see it negatively. Without we realize it, we have already ruined a lot of things in our life with our wrong way of thinking. We failed in the job we assigned to, not because it was difficult but because we thought that we won't be able to do it. We spoiled our relationship with our friends, not because the did something bad to us, but because we thought that they did something behind us. And many more things. All is in our mind. When the people of the Land of Fools changed the way of their thinking toward the watermelon, then the watermelon was not the monster for them but just a fruit. And they could get many benefits from eating the watermelon. With the right way of thinking in our mind, we will able to build many good things in our life. Good self esteem, good relationship, good works and many more. We should be able to harness our mind or our mind will destroy us.